This forecast was published 02/12/2019 at 7:12 AM. 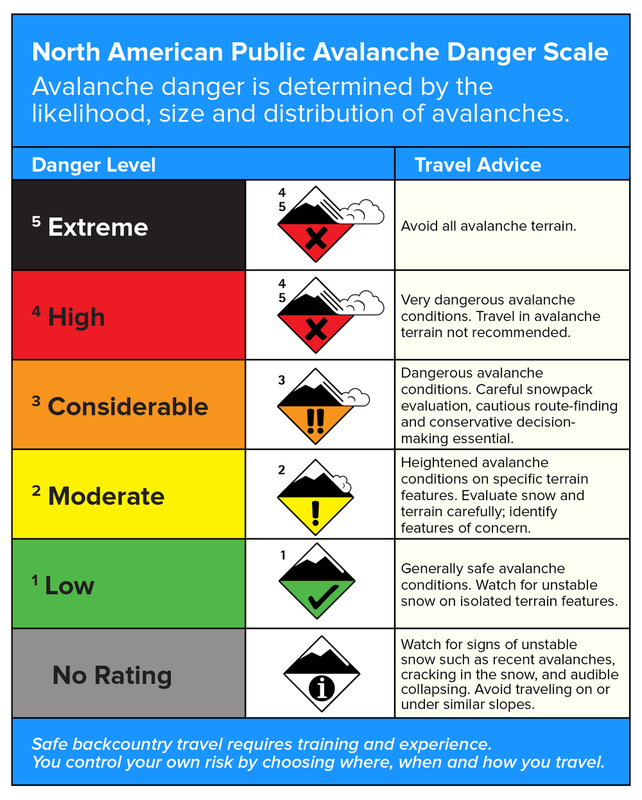 This is an archived avalanche forecast and expired on 02/12/2019 at midnight. 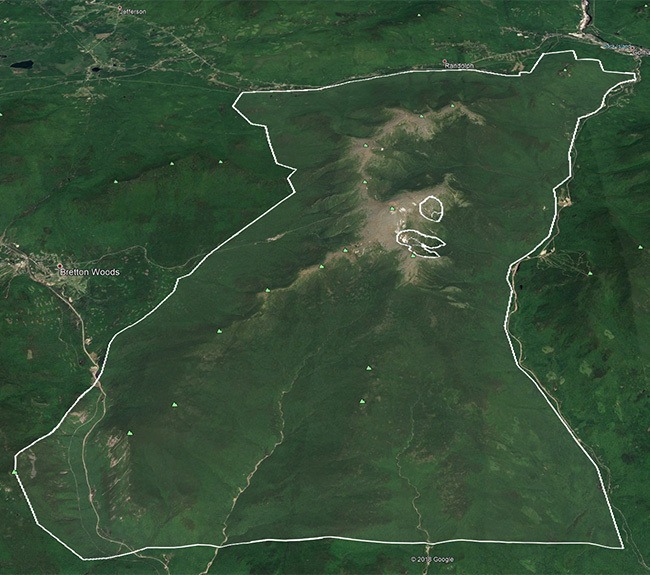 New wind slabs forming this evening may add to the primary hazard of long sliding falls today. Avalanche danger will increase as snow accumulates and is affected by wind. This may not occur until late tonight, but realize that timing of the onbound storm directly affects the avalanche problem. 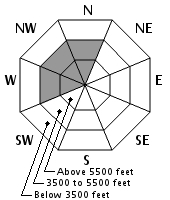 All forecast areas may reach MODERATE avalanche danger. Our current hard and slick snow surface easily allows long sliding falls and is of greater concern for most of the day. 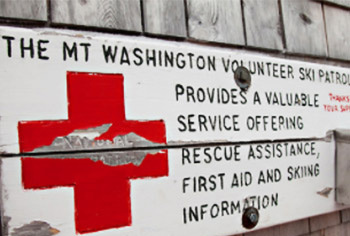 An ice axe, crampons, and your ability to not fall are required for travel on even relatively benign looking snow slopes. A small avalanche late today could easily cause such a fall. Clear skies, temperatures below 0F on the summit and our higher terrain, and NW wind predominantly in the 60-70 mph range again had minimal effect on our refrozen upper snowpack. Wind diminished overnight as temperatures rose to the current 9F on the summit and at our snow plots. Temperatures may creep up a few more degrees as wind from the SW slowly increases through midnight, from the current 20 mph to 50 mph. Increasing clouds today will ultimately lead to snowfall this afternoon as the winter storm arrives. A trace to 2” of snow is forecast during daylight hours, with another 5” possible by midnight. Heavy snowfall overnight should taper but continue tomorrow, resulting in a storm snow total around 10”. Sleet could briefly mix in around midnight tonight. Wind tomorrow should remain under 50 mph from the SW before shifting W and ramping up over 70 mph late evening. Moderate wind speeds and several inches of snow will build reactive but small wind slabs late in the day today. These wind slabs are most likely to develop on N, NW, and W aspects but wind may affect snow and help build small cohesive slabs on many aspects. Look for wind drifted snow as the avalanche problem if you’re in the mountains late today. Our terrain starts the day without an avalanche problem. 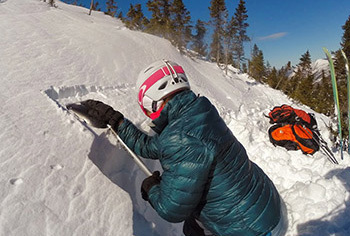 Given the slick bed surface and long sliding fall concerns, consider the consequence of even a very small avalanche knocking you off your feet as you choose terrain. The approaching storm should ultimately create both wind slab and storm slab avalanche problems. Today, we’re likely to only receive a handful of inches of snow, mostly falling after dark. We expect wind this evening to build soft and relatively small wind slabs that will increase in size and likelihood of triggering tonight. As a winter storm approaches, it’s an important time to consider what new slabs will form on. Our snowpack is currently dominated by a robust melt/freeze crust on the surface that is supportable in most avalanche paths. You may find breakable crust in the trees or at low elevations. This crust is a smooth and consistent bed surface that avalanches will easily run on. It’s also worth noting that many avalanche paths on the east side of the range are large in both width and length, capable of producing quite large avalanches. Many avalanche paths on the west side present a different hazard, being less developed and thus less able to produce very large avalanches but with plenty of terrain traps and high consequence runouts. As always, considering the question of “what are the consequences of this slope avalanches” is a key assessment as avalanche danger increases through tomorrow. Posted 02/12/2019 at 7:12 AM.